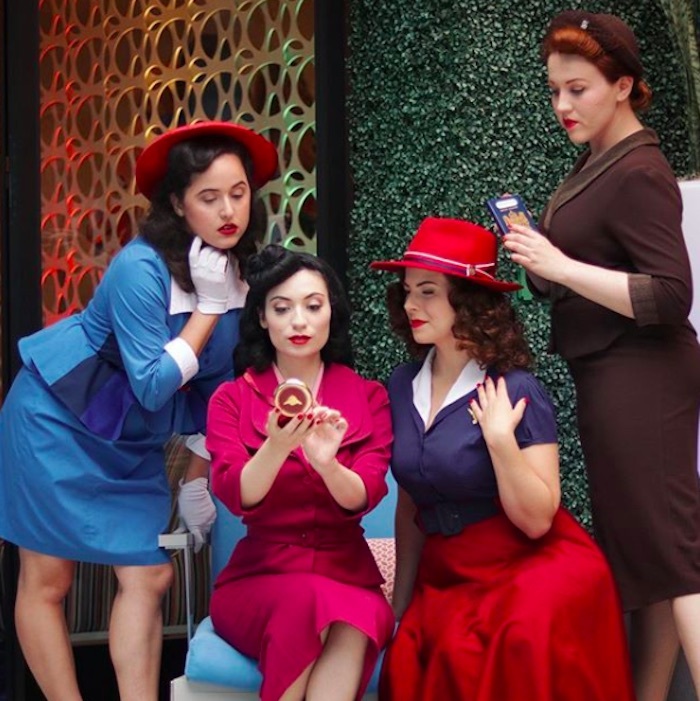 Just in case you haven’t gotten your fill from the Bésame Cosmetics x Agent Carter collection, another Marvel beauty collaboration is headed our way. 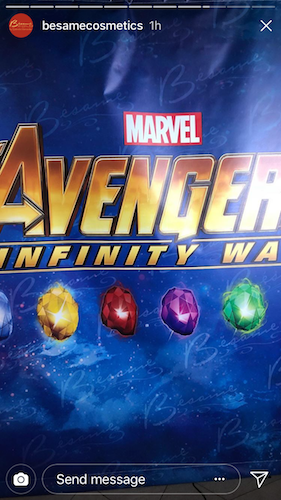 In a move that may be surprising to some, Bésame Cosmetics is creating an Avengers: Infinity Wars makeup collection for superhero fans. 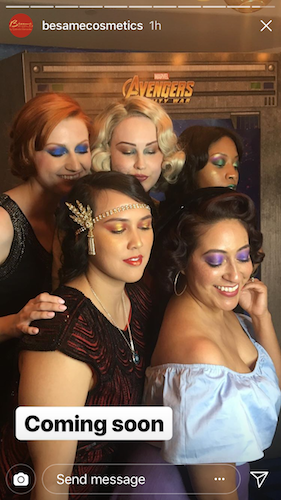 It might be surprising that such a niche indie brand continues to partner with one of the biggest film franchises in the world, but for makeup lovers, it makes perfect sense. Bésame Cosmetics has the ability to capture the era and essence of the films they are working in collaboration with. Their commitment to creating authentic, beautiful products from packaging to makeup is what makes them a standout. It pleases that this Latinx-owned brand is working with such a blockbuster film. 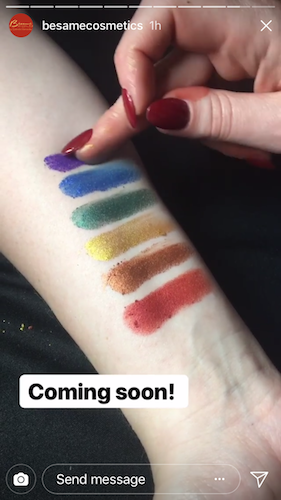 We got a sneak peek at the what’s headed our way, courtesy of Bésame’s Instagram Stories, and it appears that at the very least we can expect some brightly hued and highly-pigmented eyeshadows. Our money is on a palette, but you never know with this unique and whimsical brand. Keep your eyes peeled for more information on the Bésame Cosmetics x Avengers: Infinity War collection. It will most likely make it’s debut sometime this week, to align with the film’s premiere. How gorgeous are these vibrant shades? They are fierce and fiery. Just like the incredible women of the Avengers: Infinity War. If these photos are any indication, they’re going to be must-have eyeshadows for the summer. Talk about incredible hues! They’re positively luminous. Keep those eyes peeled for more info. Bésame is infamous for secret reveals and sneak peeks, and you won’t want to miss out.